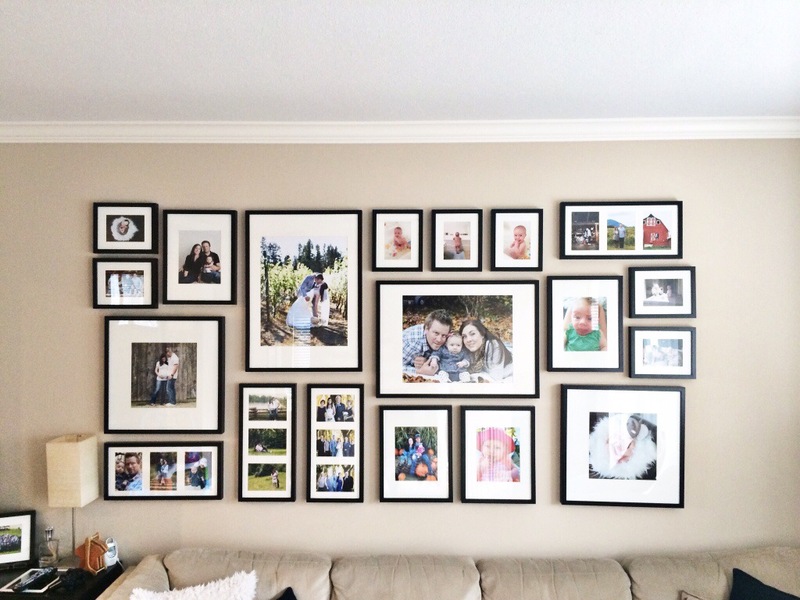 I stumbled across an article the other day on North Shore Mama about why you need to display family photographs in your home. The article talks about how you shouldn’t keep your pictures just on your phone or computer but that you should have them on display. Displaying ones pictures has several benefits such as creating better confidence in children and brightening ones spirits on a bad day. The reason I am sharing this article is it really struck home with me. 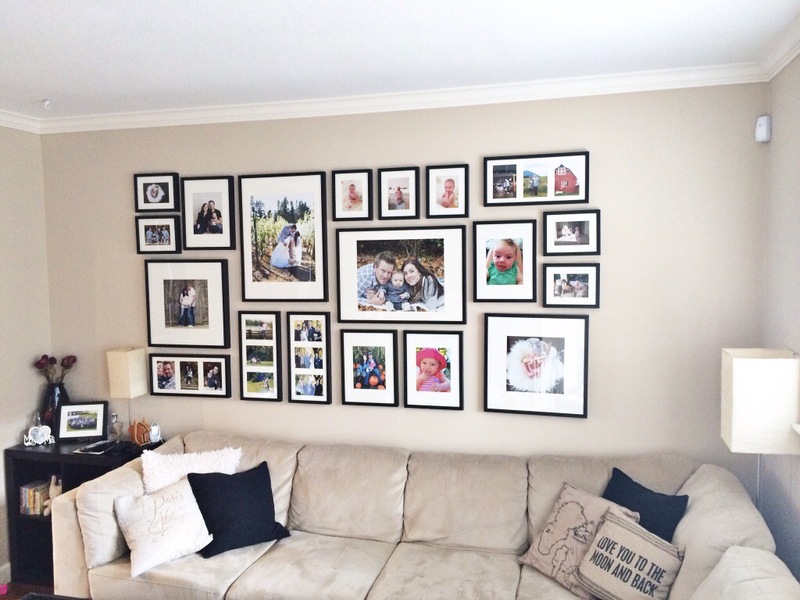 We recently installed a gallery wall in our living room. When I say we installed, I mean I picked out the pictures and the layout and my hubby and a good friend spent a couple of hours measuring and hanging the frames so everything was even and centered 🙂 I absolutely love the way it turned out and the price couldn’t have been any better. I spent $100 on frames at Ikea, I purchased them at Christmas when they were all 50% off and about $40 on printing pictures from Costco. We had been looking casually (very casually) for a piece of art for our living room wall but had yet to find anything that really spoke to us. What I really love about the gallery wall is I am able to switch out the pictures as we take new ones and as our family grows. I will also be able to use it to display favorite pieces of artwork that come home from school later on. 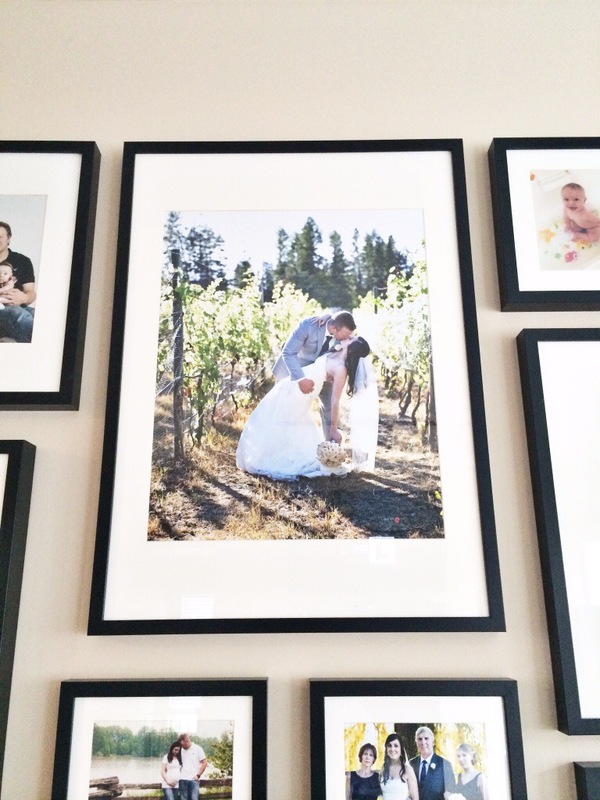 Right now our gallery wall is filled with mostly professional pictures, engagement, wedding, maternity, newborn, family photos and a Christmas mini session and a handful of Iphone pictures. It’s only been up for a couple of months but I already want to swap out some of the pictures! 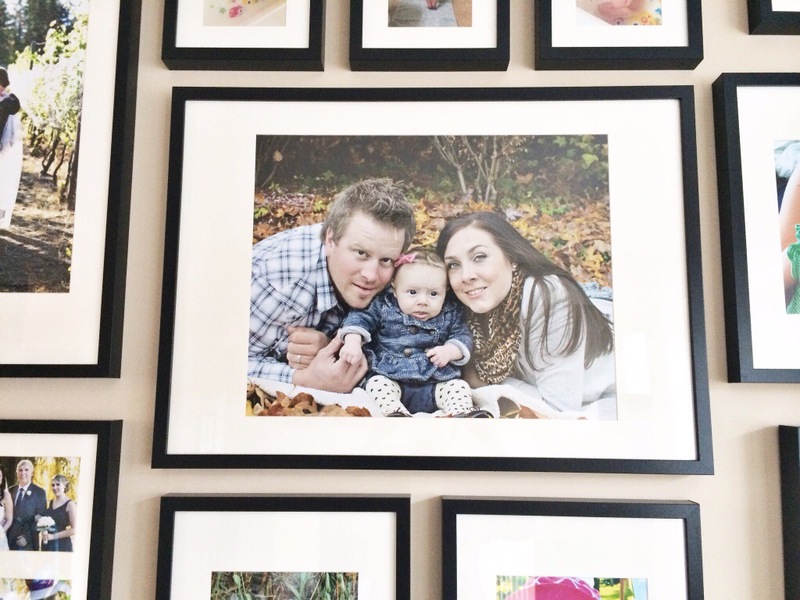 I’ll leave you now with the article from North Shore Mama, Why you need to display family photographs in your home as found on North Shore Mama and a few pictures of our gallery wall.